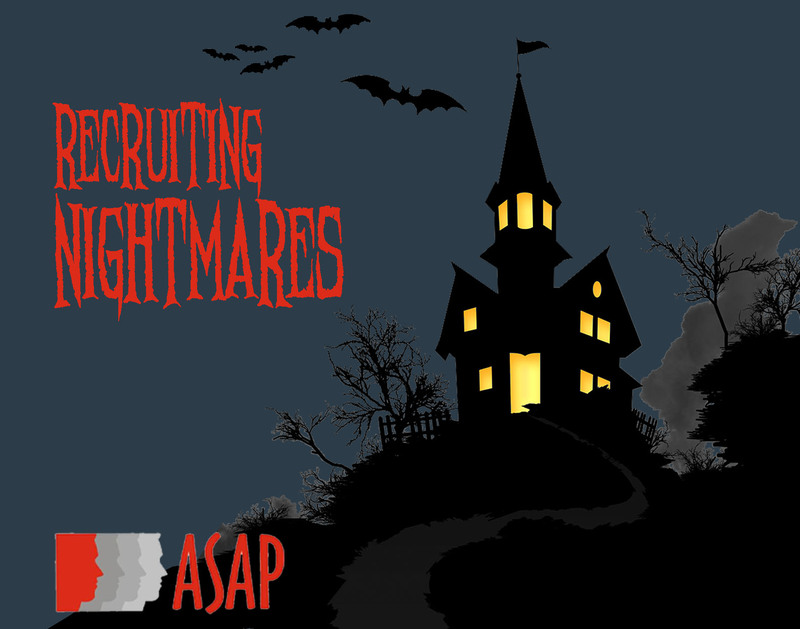 Every recruiter has had that one client whose expectations and list of job requirements never seems to end. You find them a great candidate, but then they tell you they’d like someone with more customer service experience. This is a big part of what’s turned the hiring process into a long, involved process. As the infographic shows, it now takes an average of 26-34 days to fill an open position. And to find that perfect candidate, hiring managers and recruiters have to turn to, on average, 15 different sources. Then, after all that hard work and effort, low retention rates mean it won’t be too long before the position is vacant again. According to Indeed of being hired, 65 percent of new employees are already looking at job listings again. So how do you wake up from that client nightmare? To improve the situation with difficult clients, the secret is good communication early in the relationship. By getting on the same page about their expectations, both you and your client will know what the ideal candidate would look like. Start by going in-depth into the job requirements. Careerbuilder tells us that 42 percent of hiring managers would still consider a candidate who meets most of their requirements. Find out which skills are the most important to the employer and which ones they’re willing to compromise on. You also need to hone your skills assessing the top baseline skills for companies across industries. Burning Glass Technologies explains that the most in-demand skills for employees are communication, organizational, and writing skills. Find ways to see how well each candidate exhibits these skills and you’ll be better able to match them to clients expectations. Job seekers have one main goal: to find employment. If they’ve been on the hunt for an extended period of time, it’s not uncommon for them to get a little desperate. And that can make things more difficult for recruiters. That’s what’s led to an increase in the number of under-qualified candidates employers have been seeing in the hiring process. According to the CIPD, 48 percent of hiring managers said they now receive more unqualified candidates than in the past. In addition, many HR professionals report most job seekers are disappointing in the interview. Since you can’t magically wave a wand and make a candidate more skilled, how do you end this nightmare? The hiring process is stressful for candidates, and you need to help them prepare. In fact, CareerArc tells us 60 percent of candidates say better communication throughout and after the hiring process would have the biggest impact on improving their experience. About the author: Josh Tolan is the CEO of Spark Hire, a video interview solution used by more than 2,000 companies across the globe.